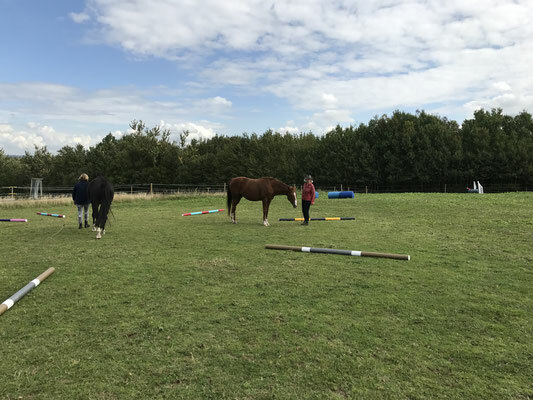 Ideal for those working in Level 3 and 4 this course has a nice balance of Liberty and Freestyle. 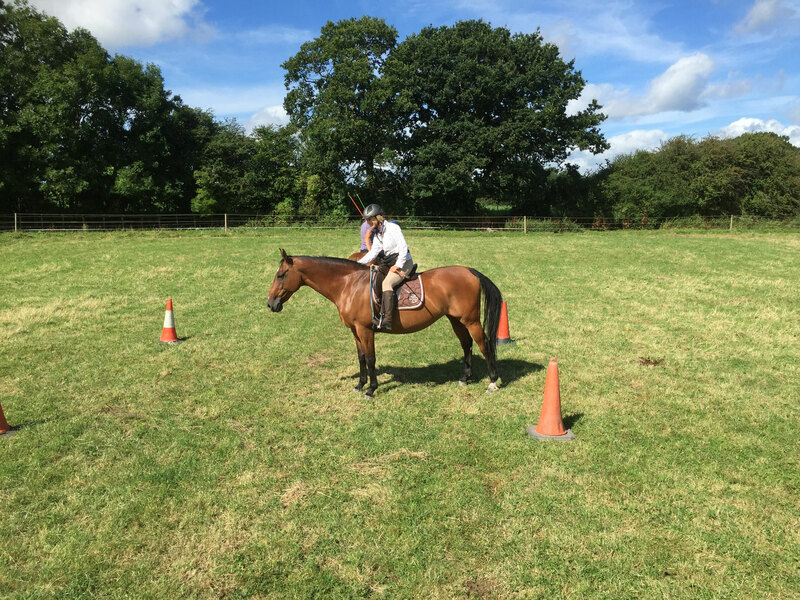 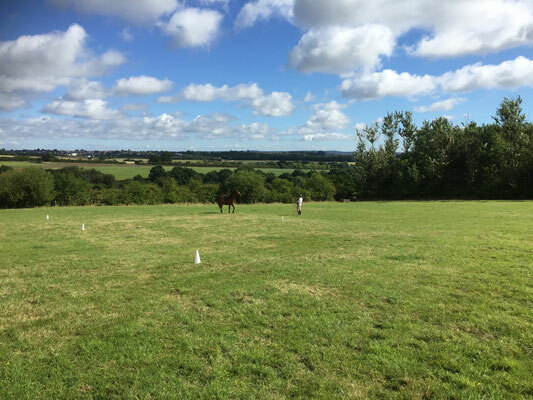 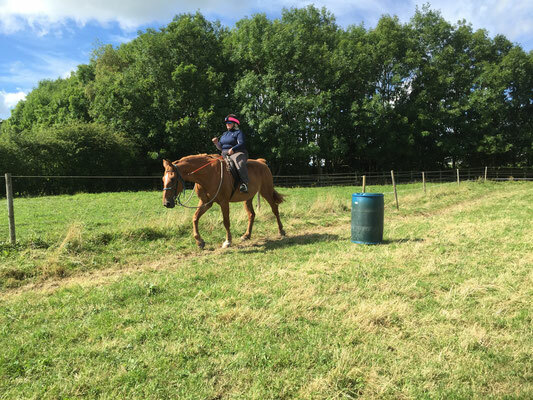 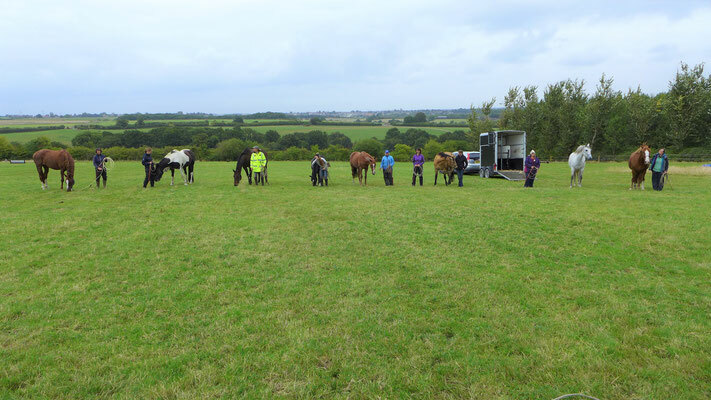 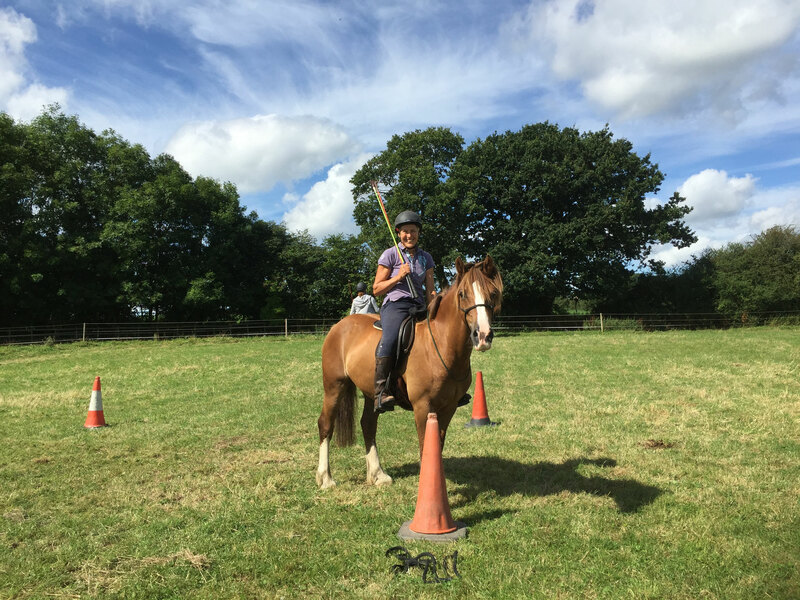 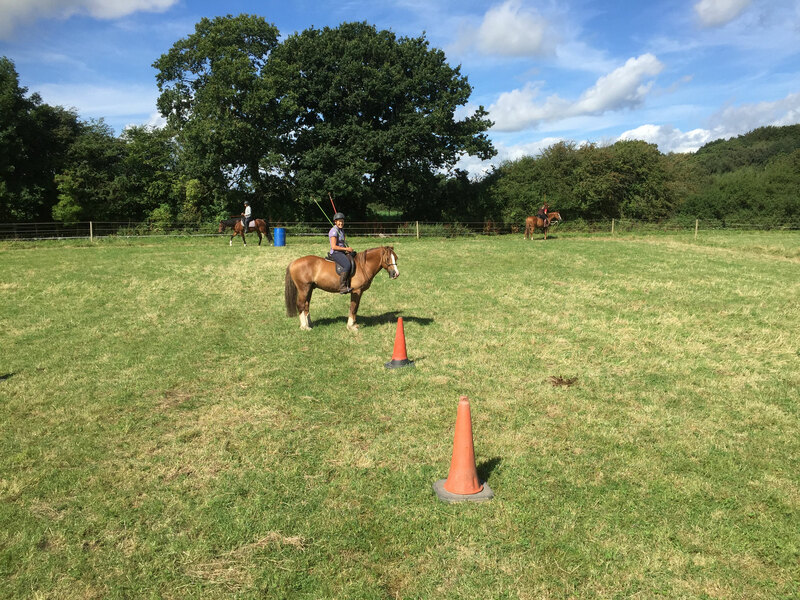 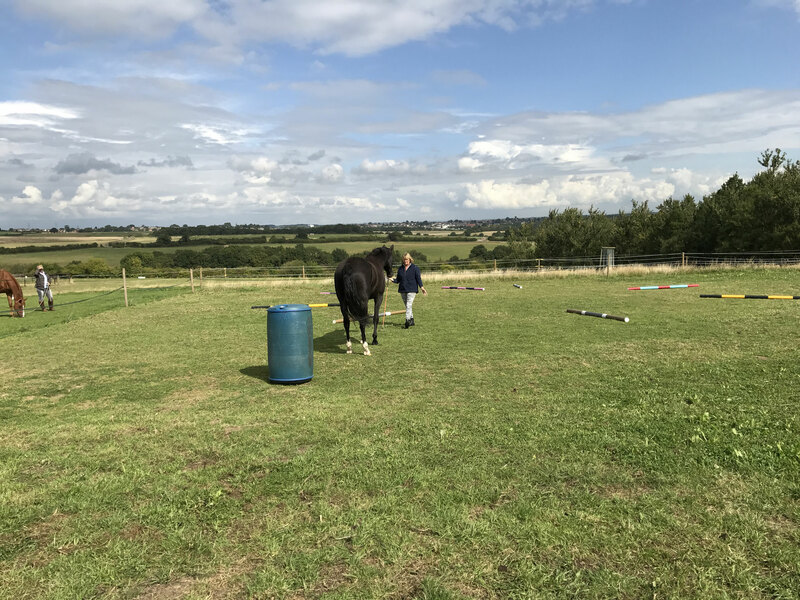 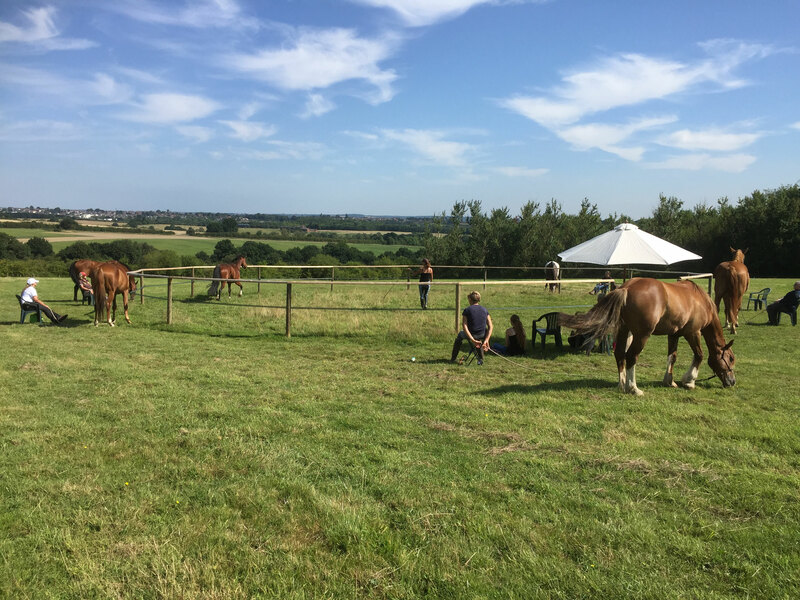 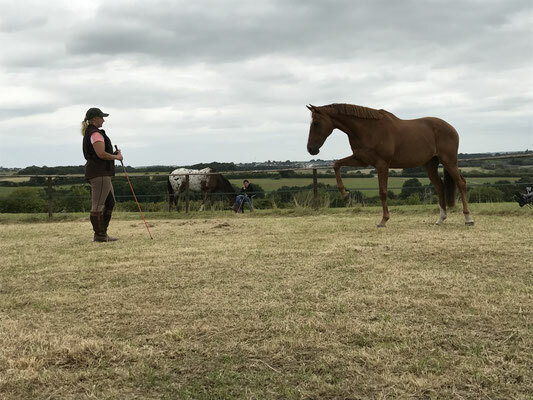 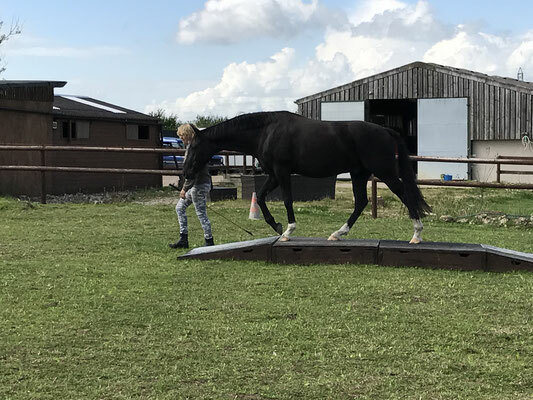 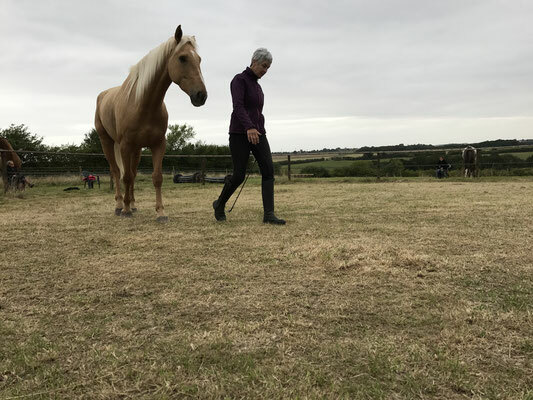 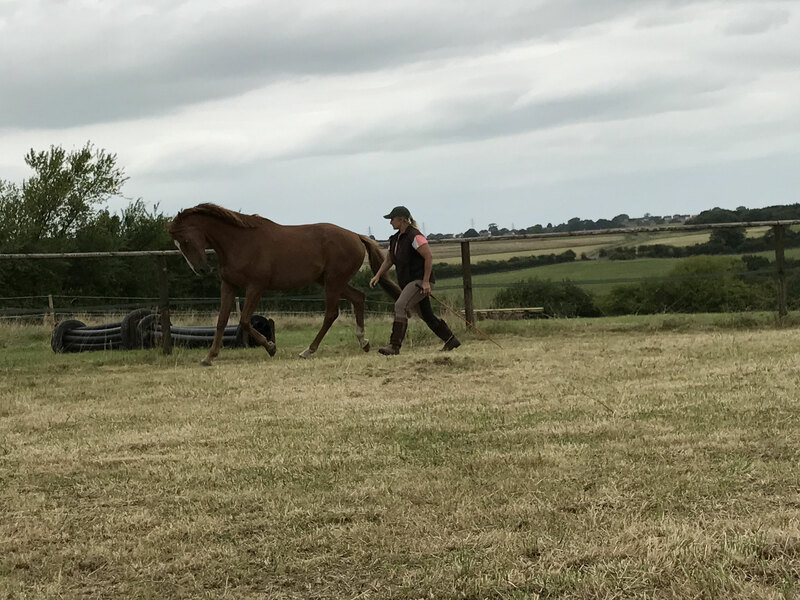 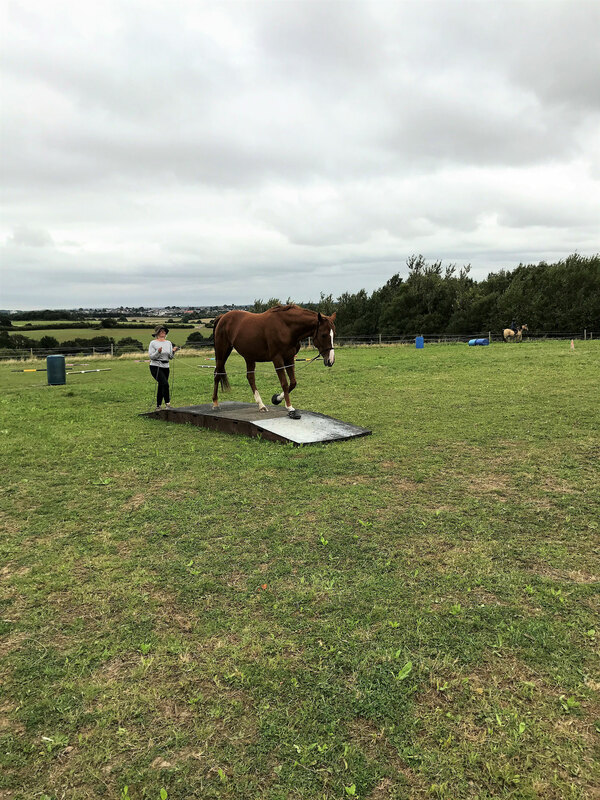 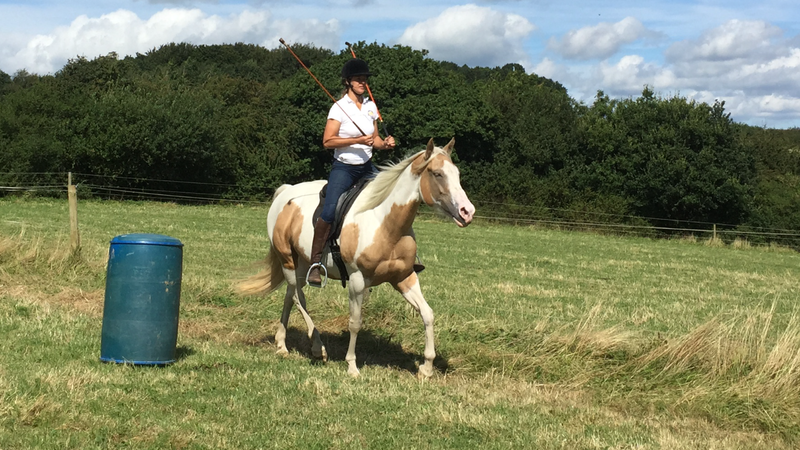 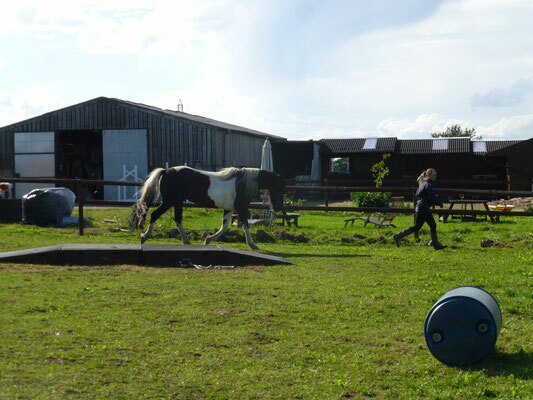 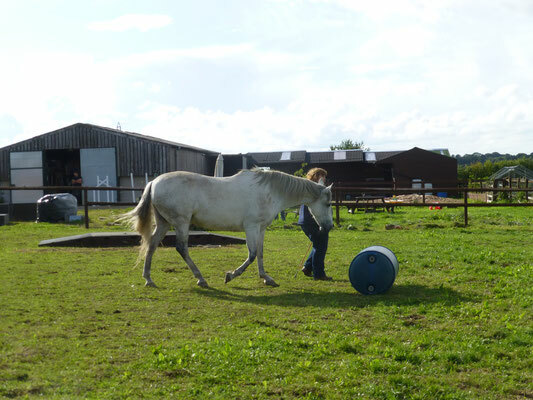 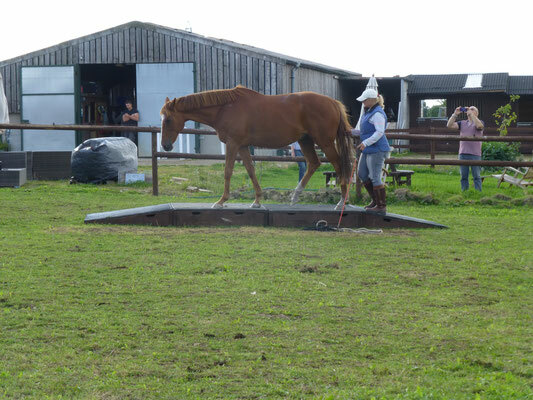 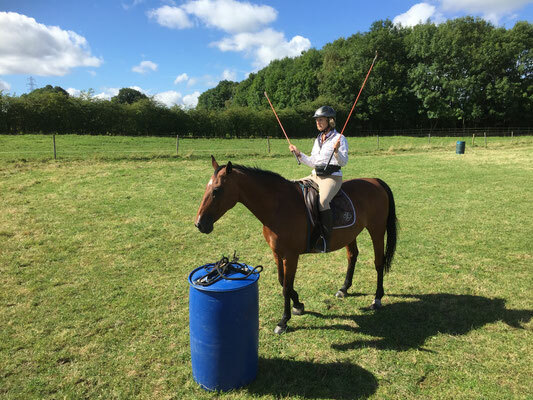 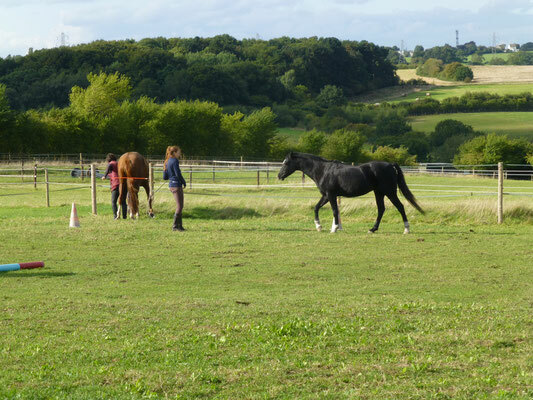 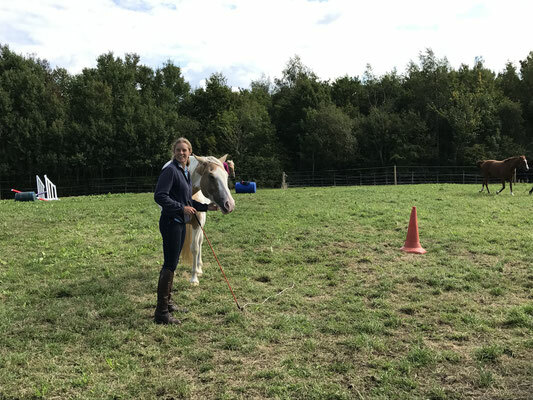 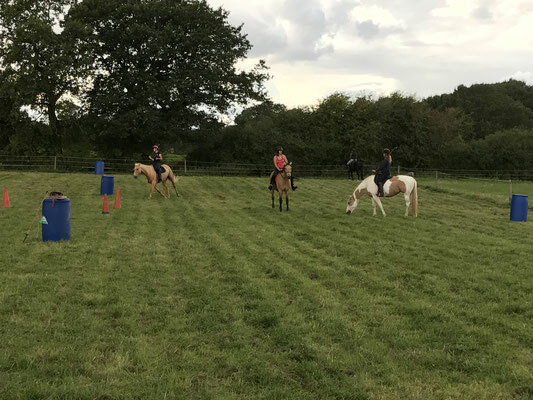 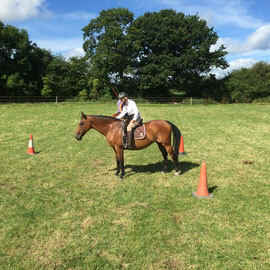 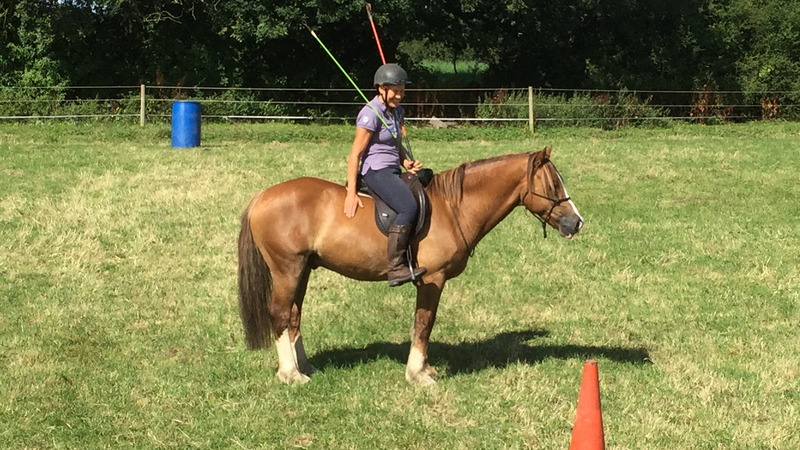 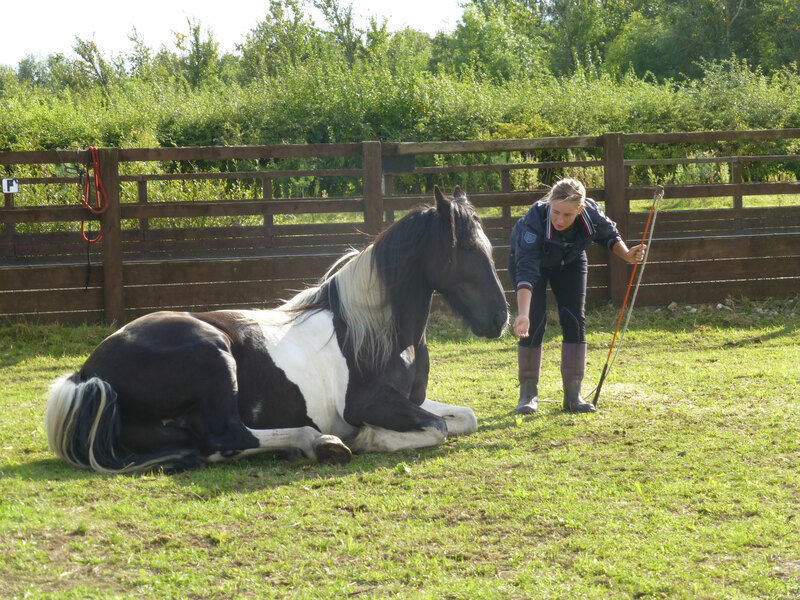 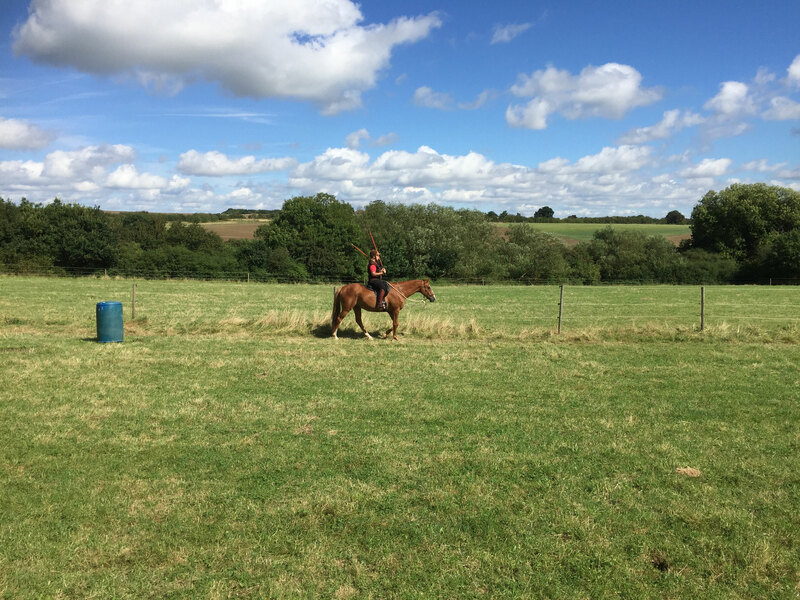 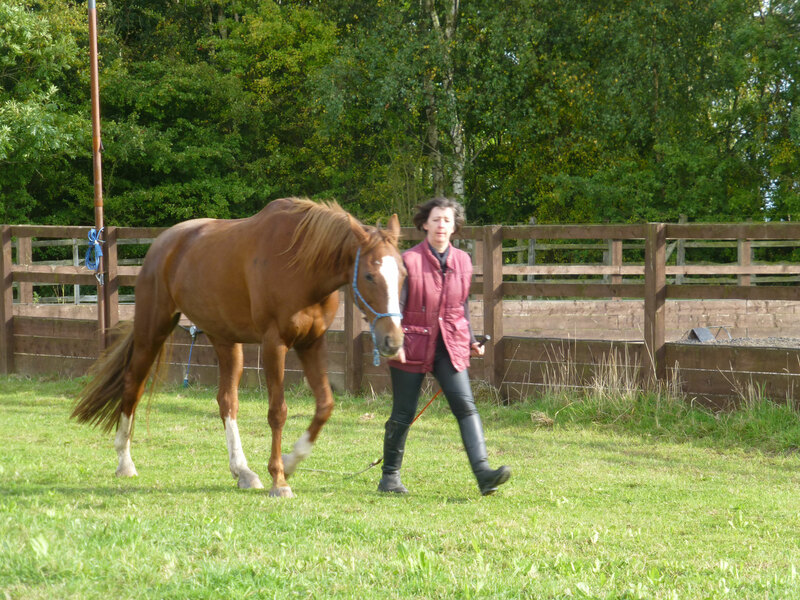 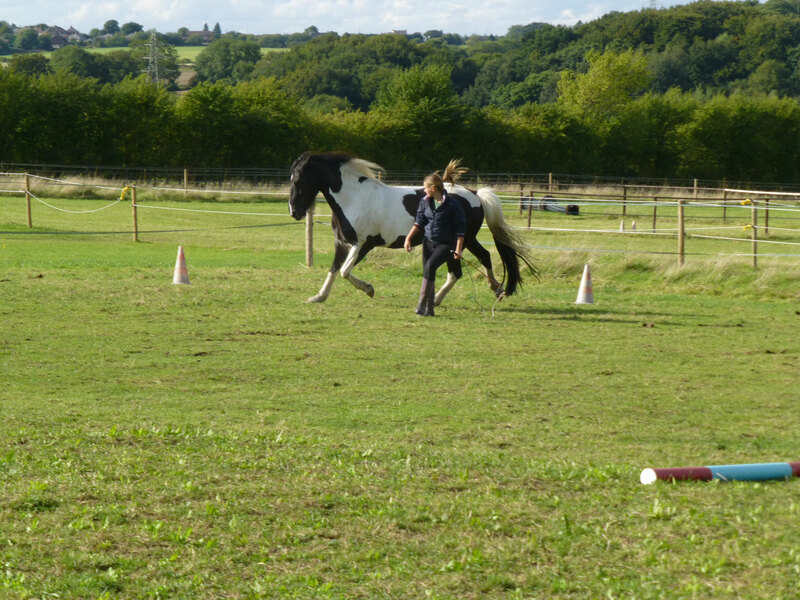 Learn to play at Liberty in a round pen as well as in large areas and as part of a group, it doesn't matter whether you are just starting out or quite advanced you will be given exercises and challenges to suit you. 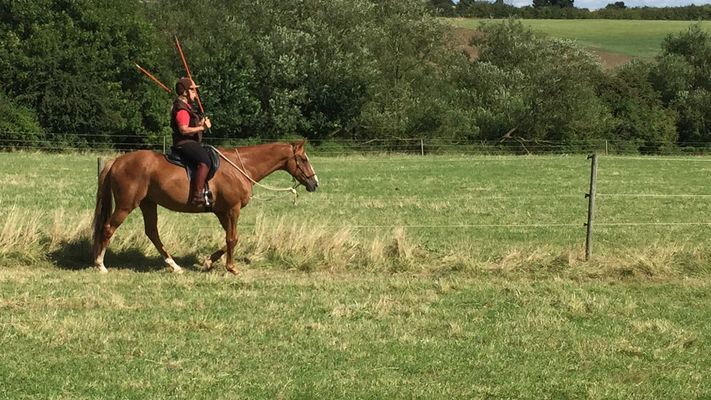 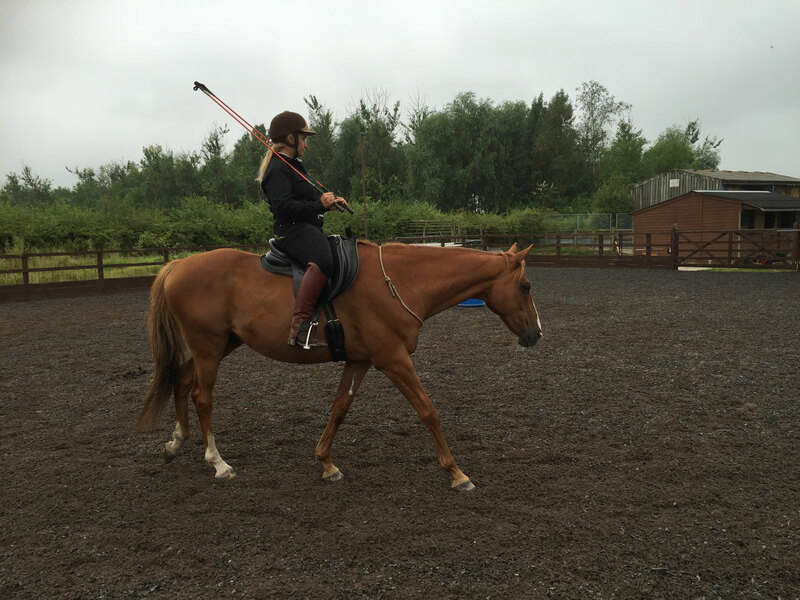 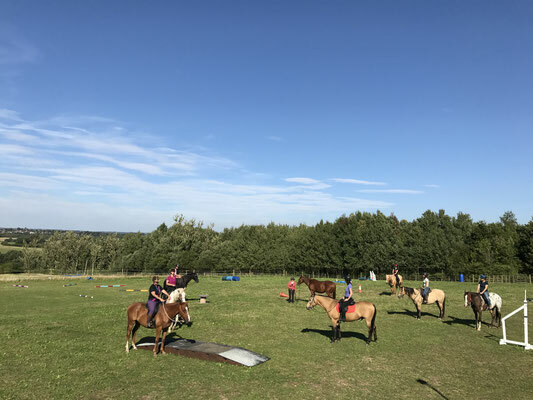 Likewise for the Freestyle elements, with a variety of different sized riding areas including flat and sloped ones you will learn how to ride your horse without reins. 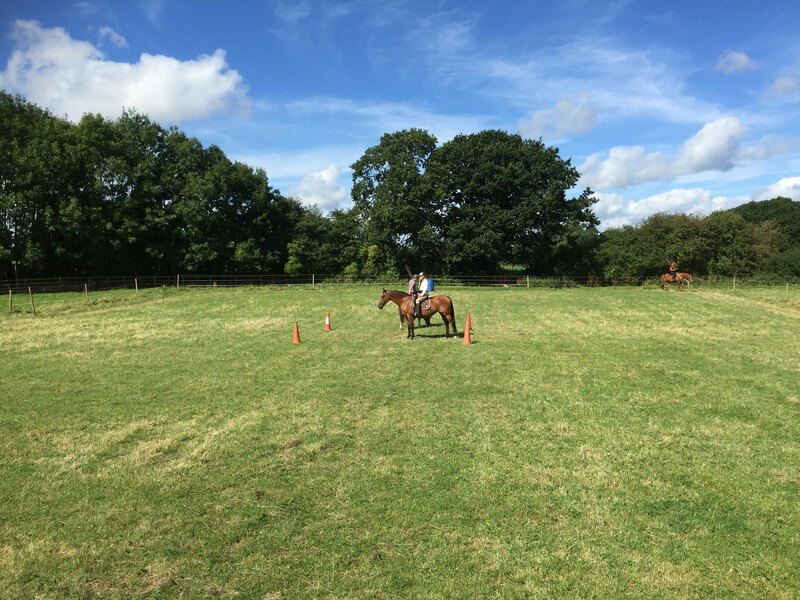 I'll teach you how to use patterns to be able to ride straight lines, circles, turns and transitions all from your focus and seat. 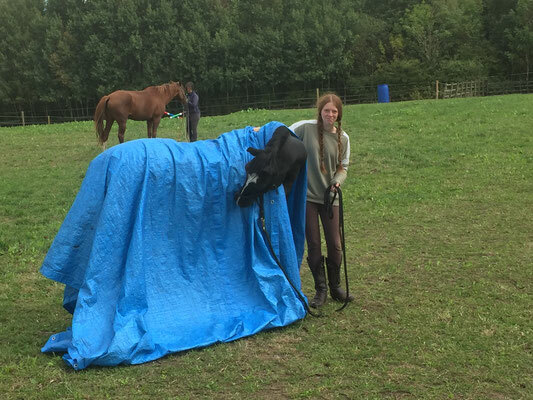 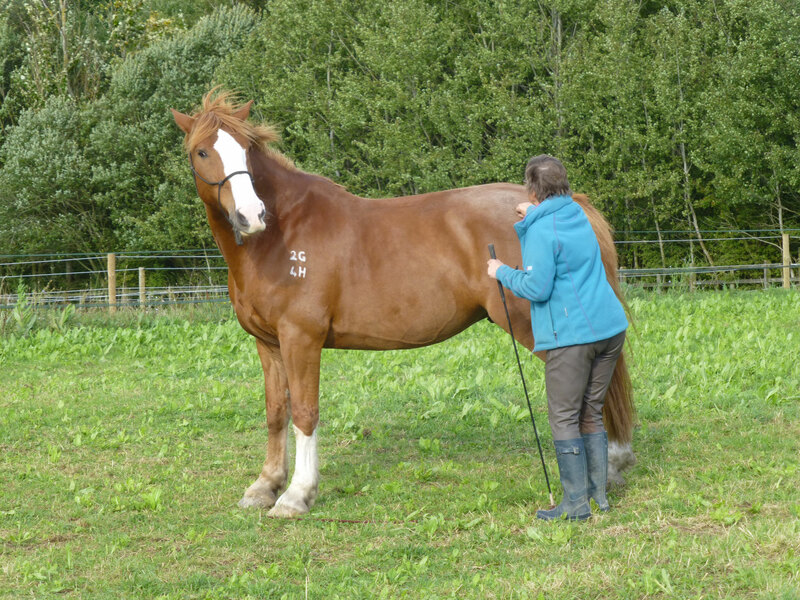 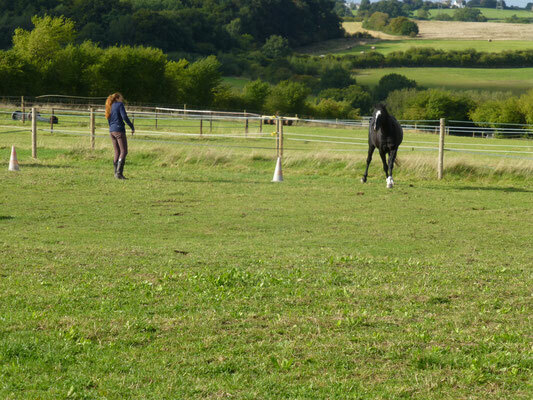 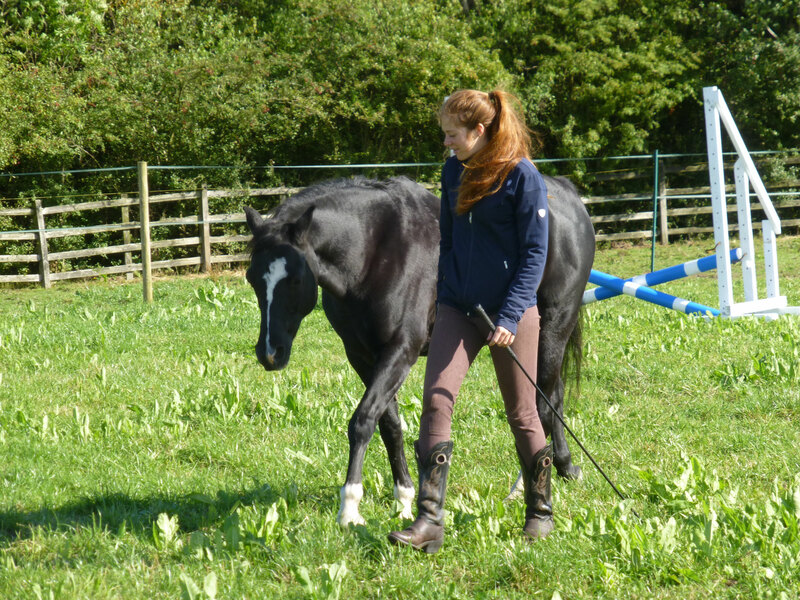 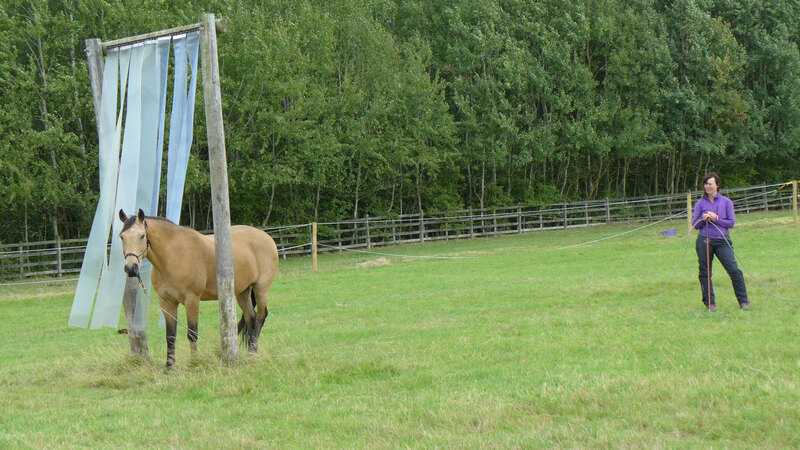 You'll learn how to have your horse 'get the game', understand what you are asking and be willing to help you. 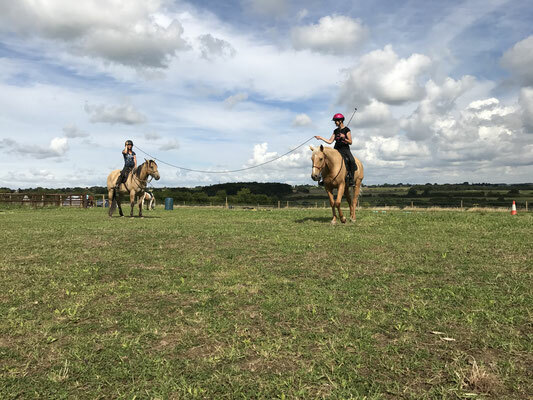 Then when you are ready, put your partnership to the test and experience the exhilarating feeling of riding with no bridle or halter and being in complete control. 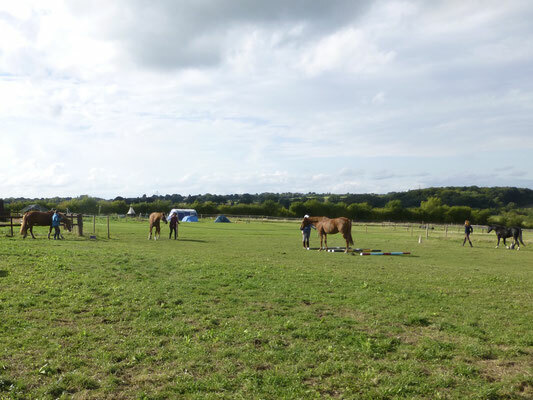 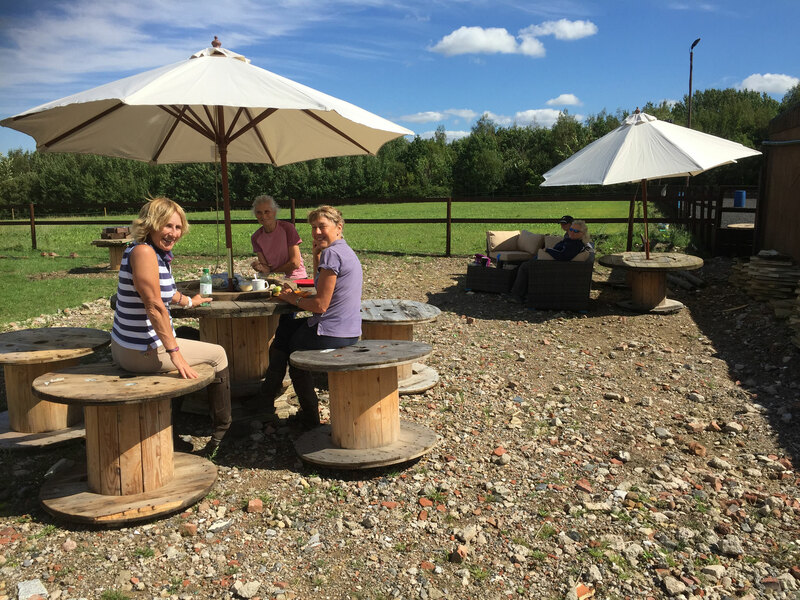 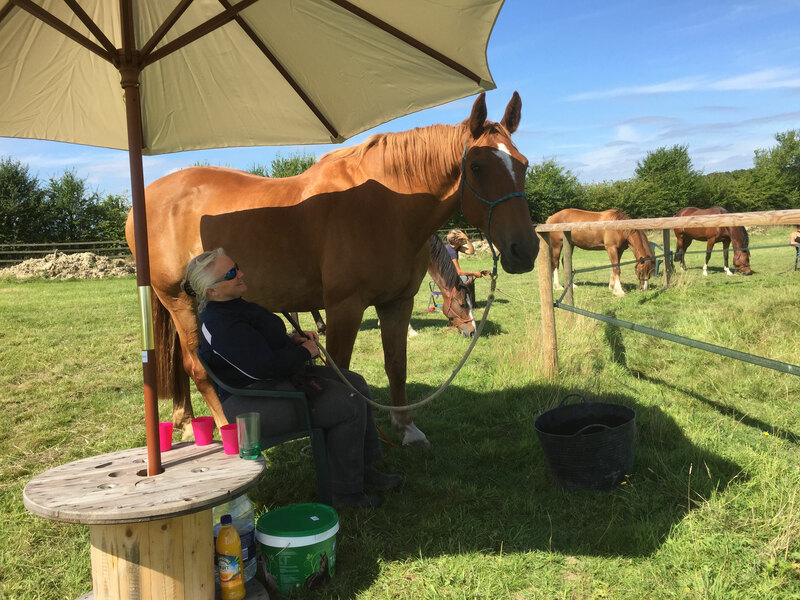 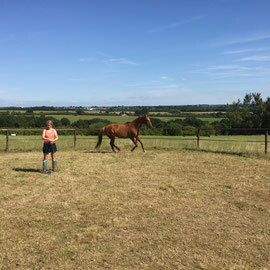 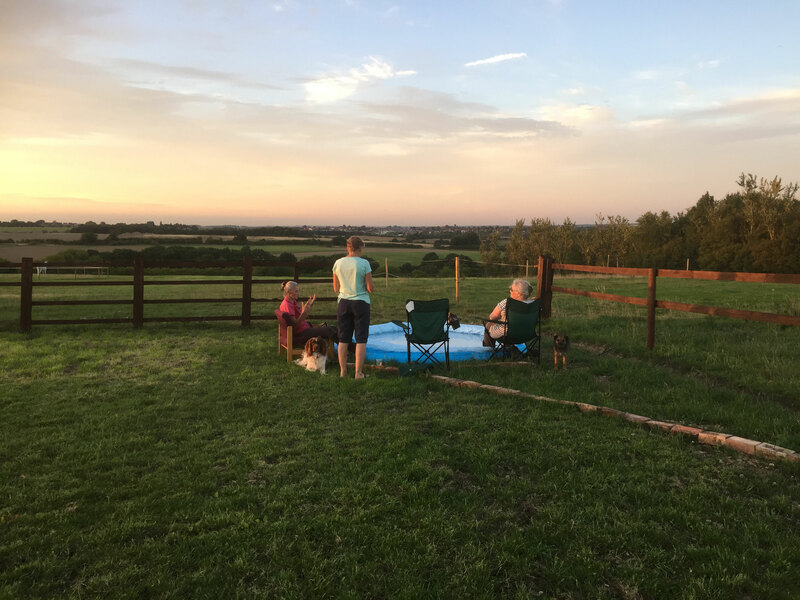 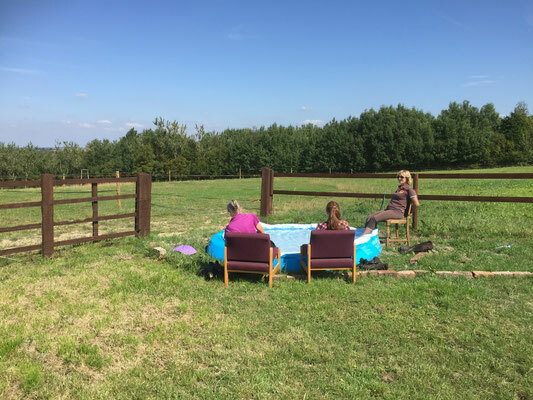 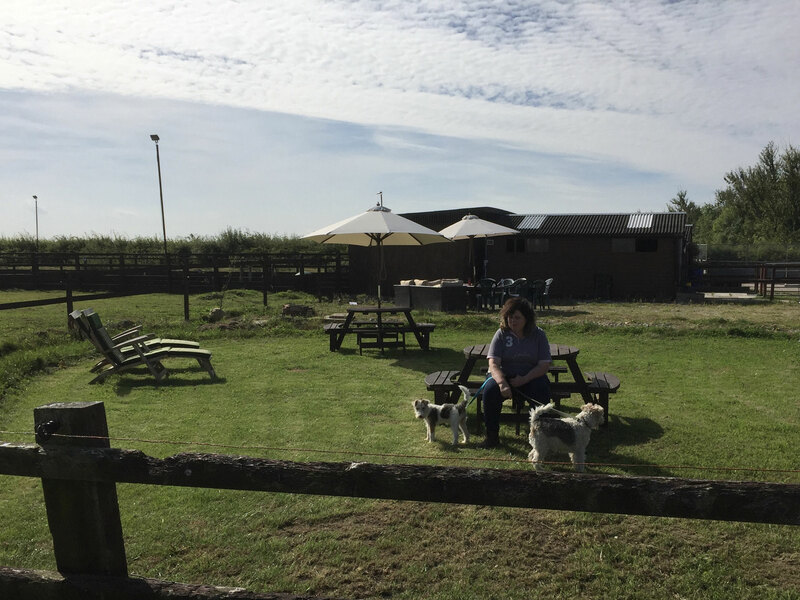 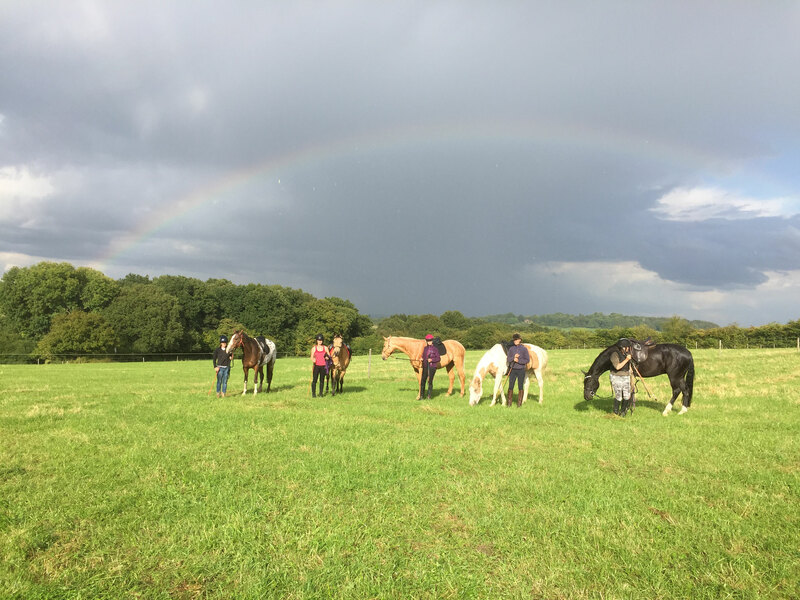 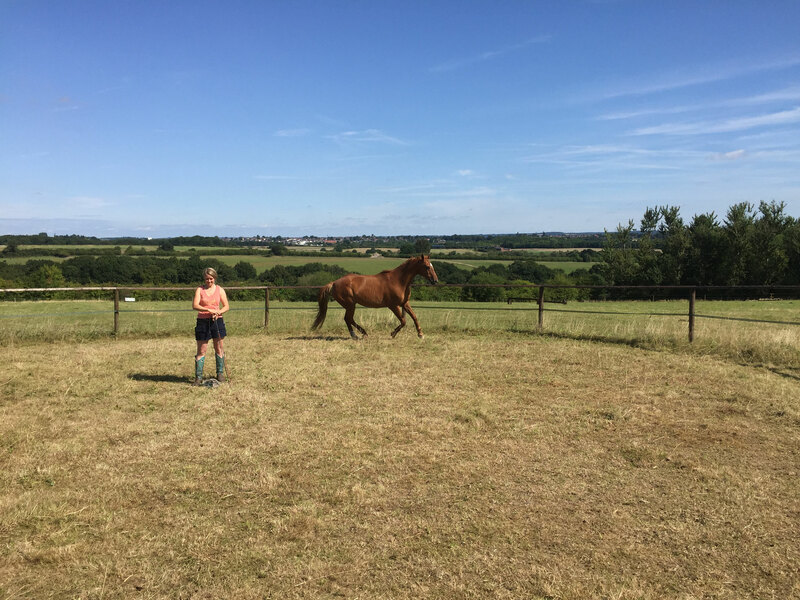 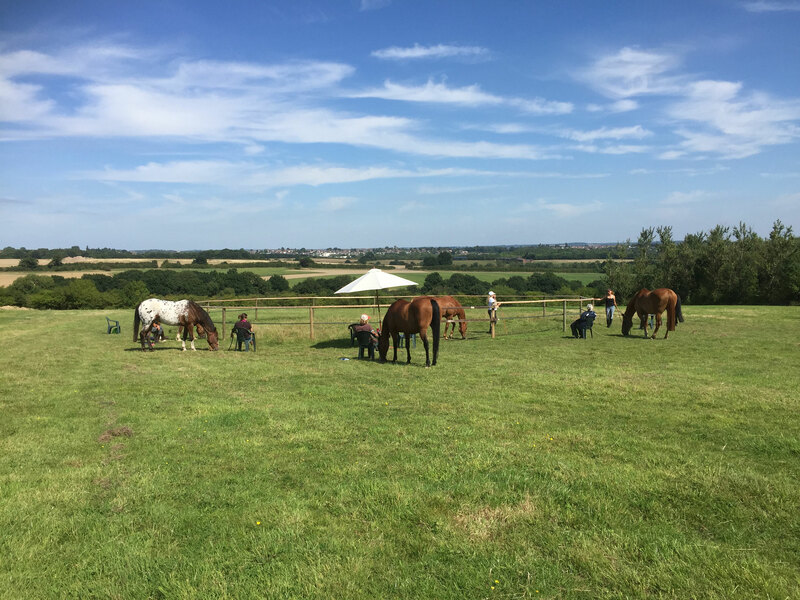 This course has a lovely summer camp feel to it, set at the end of August with picnics, camp fires and barbecues it's a great week away with your horse learning how to do the stuff dreams are made of. 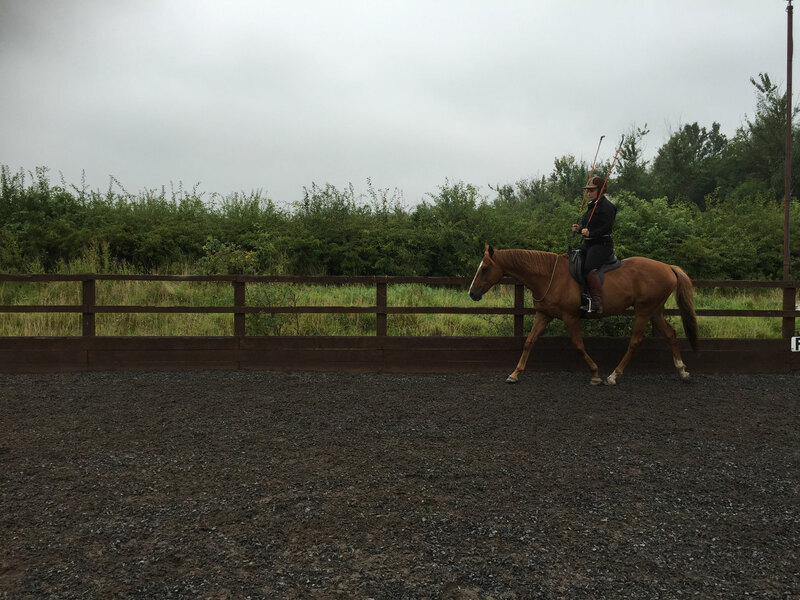 "It's been a crazy busy week but also a really good one! 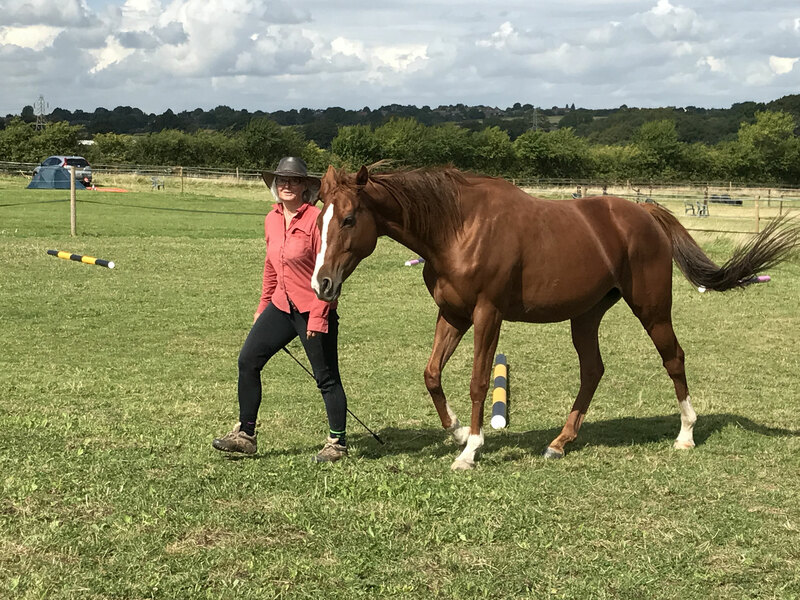 Did the liberty and bridleless course with Rachael Shawyer, it was fantastic and I'm so happy with the changes Sim made in how he moves! He has never felt so good! 🙌🏼 I then did a pleasure ride with Seb on Saturday and was able to use some of the techniques we had learnt to help him relax when other people were passing. 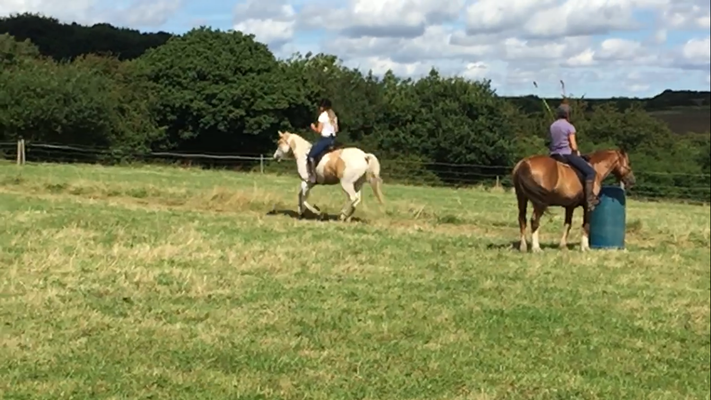 We ended up on a loose rein and him totally chilled with other horses galloping past! 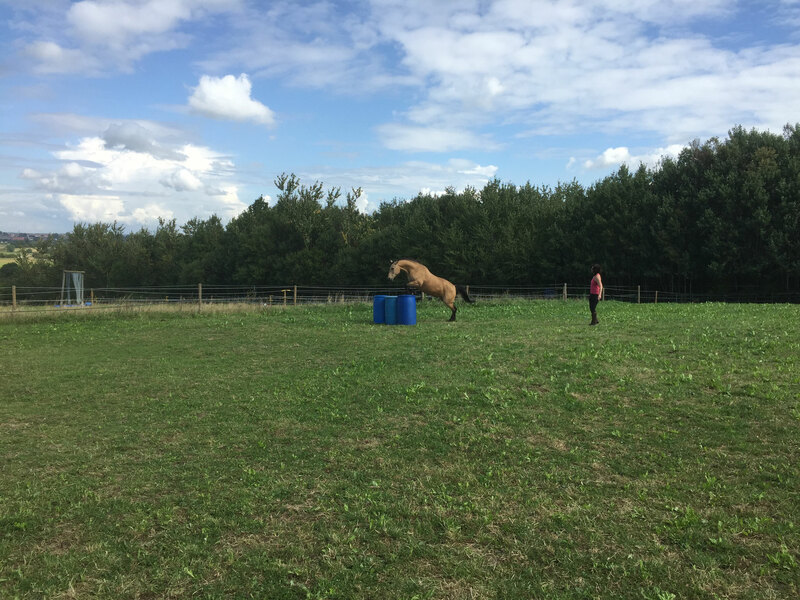 Which is huge for Seb. 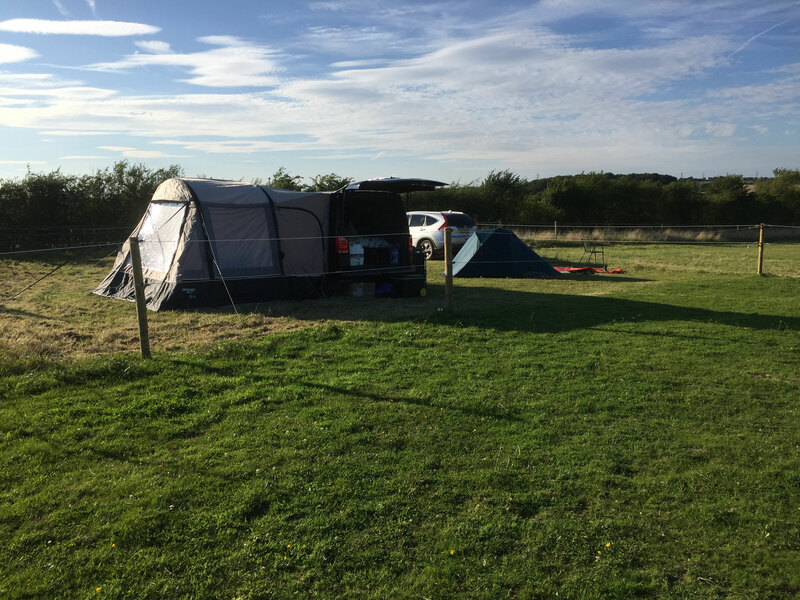 So a great week despite the car issues! 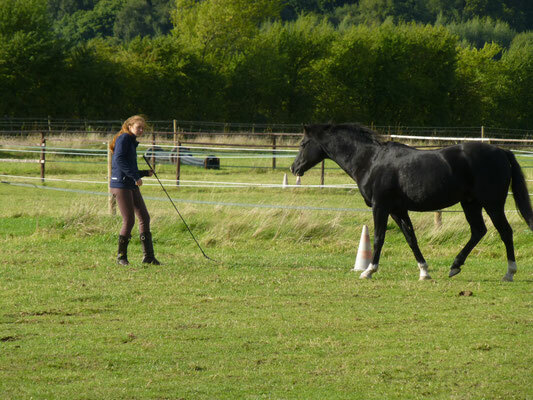 Thanks again Rach for everything"! 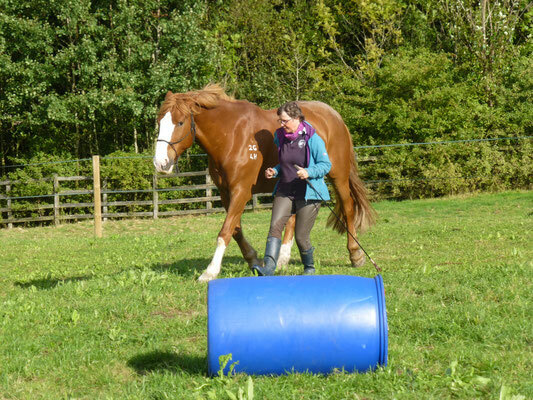 The £550 price includes 5 days tuition and 5 nights horse board. 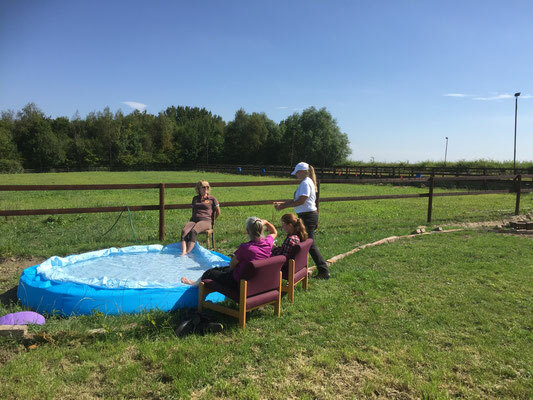 Deposit of £100* due now to confirm your place.